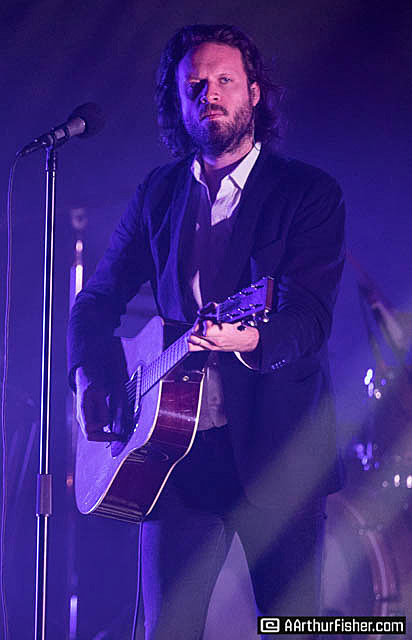 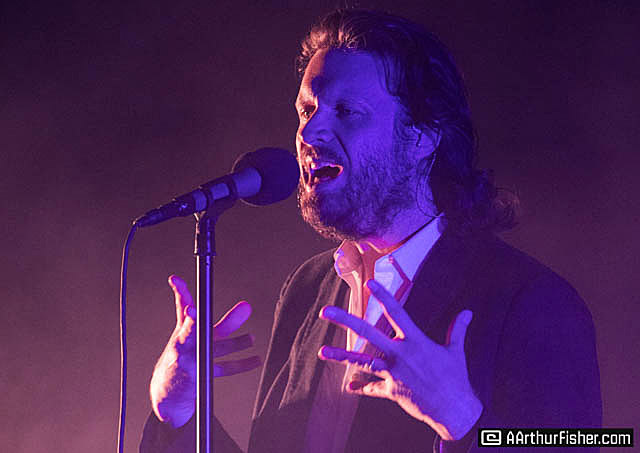 Wednesday night Father John Misty, aka Josh Tillman, treated a nearly packed house at The Arlington Theatre to two hours of beautiful music. 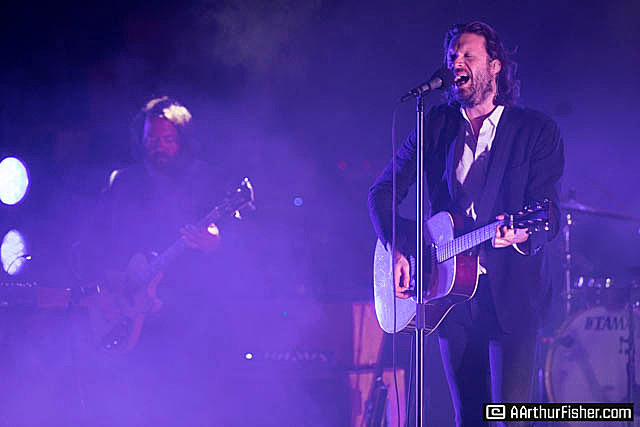 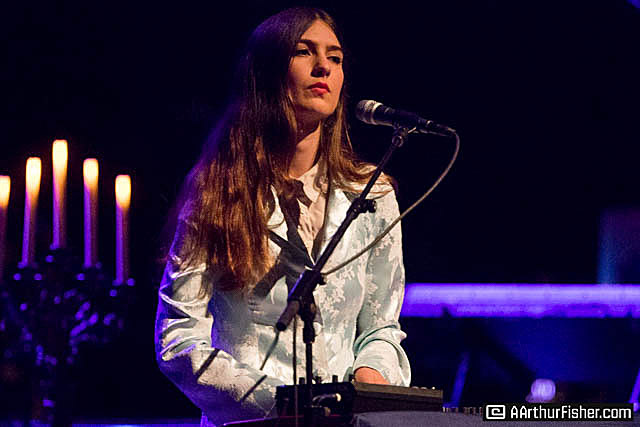 The crowd remained seated as FJM opened with “Pure Comedy,” the title track of his third album, which he is currently on tour supporting. 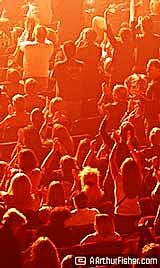 It wasn’t until the fifth song, “Nancy From Now On,” that the crowd became fully engaged, standing, dancing and singing along, and then they could not be stopped. 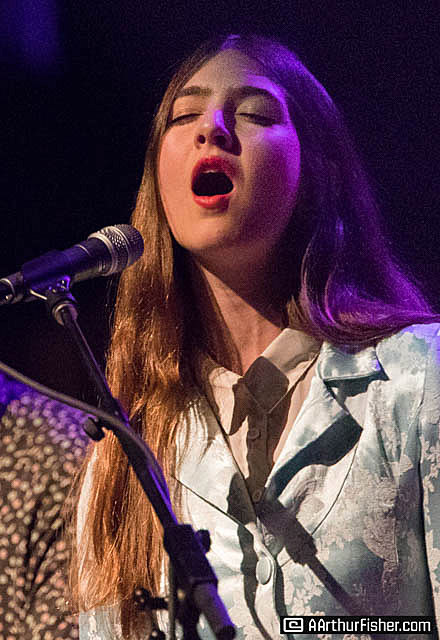 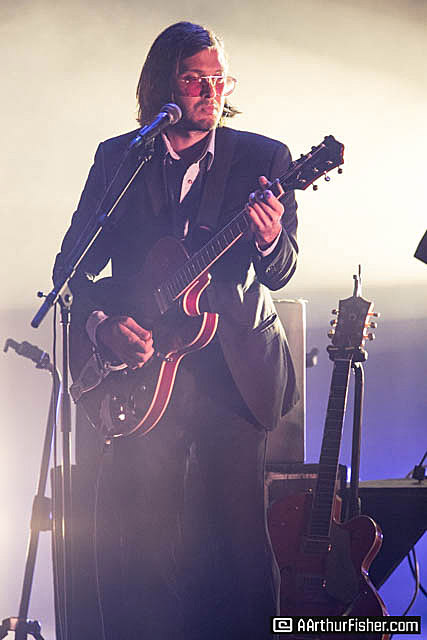 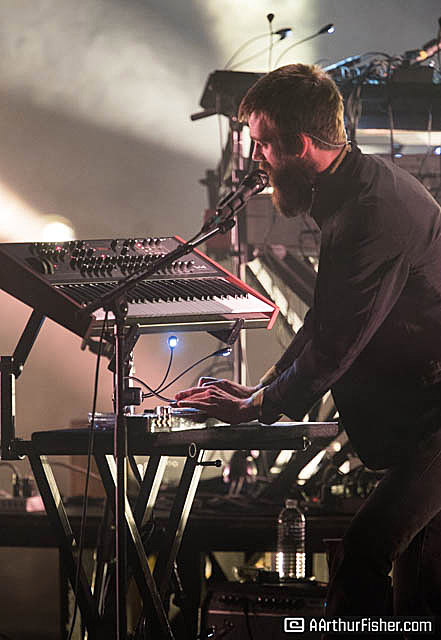 FJM was surrounded on stage by six musicians which he joined with his guitar on many of the songs. 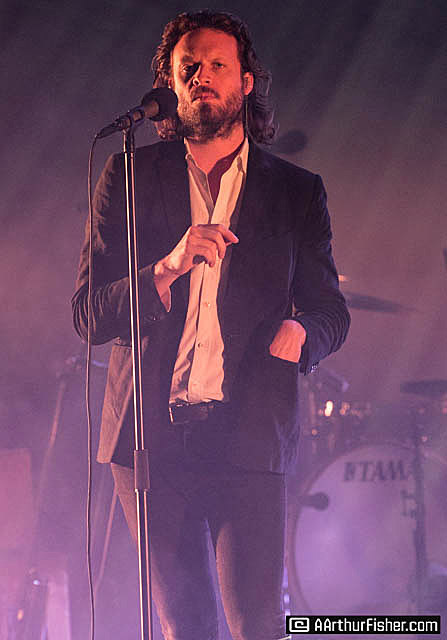 When he wasn’t strumming his guitar he was dancing and traversing the stage, striking campy poses while he sang. 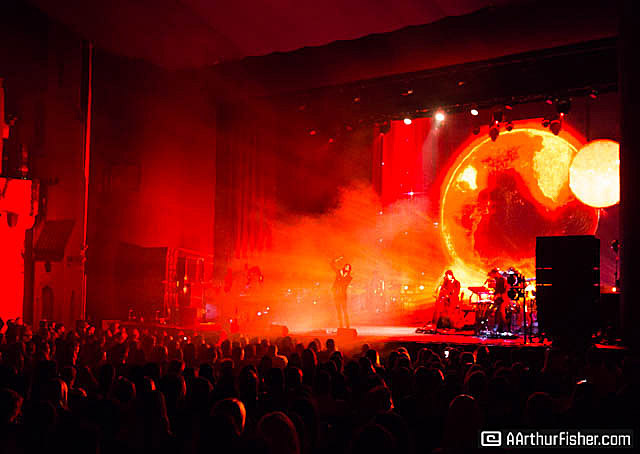 Behind him on the screen images of the Earth and space and black and white cartoons and rainbow-colored mountains scrolled by while a dazzling light show added drama. 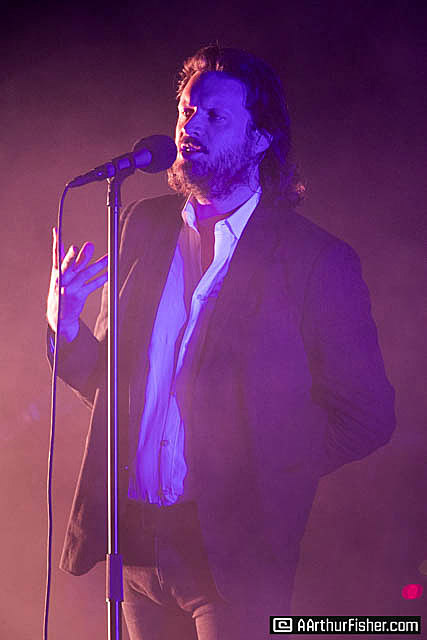 FJM was uncharacteristically unengaging with the crowd, not speaking a word outside of song for about the first hour. 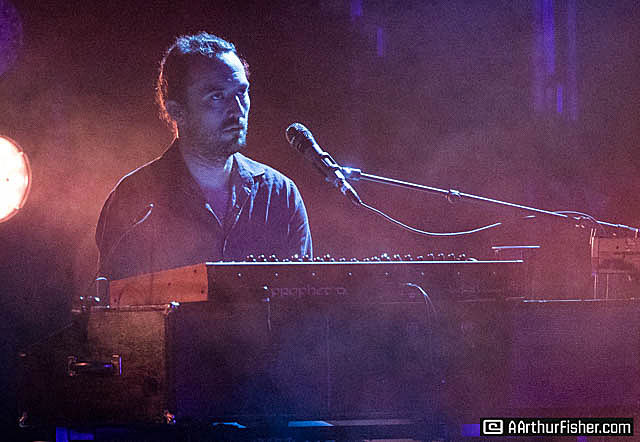 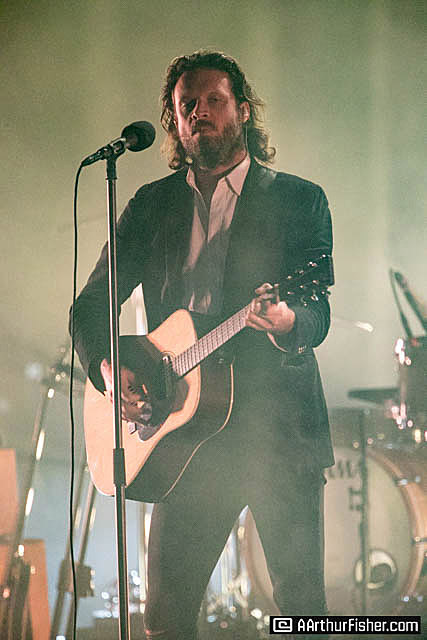 It was when someone in the crowd yelled “Josh!” and FJM answered “Yes?” that the fourth wall came down and things got downright conversational. 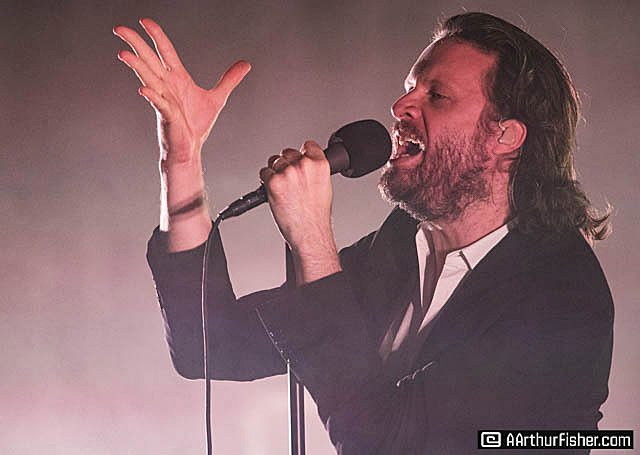 At one point FJM at commented on how disappointed he was that Muppets never came out of the balconies suspended on the Arlington walls. 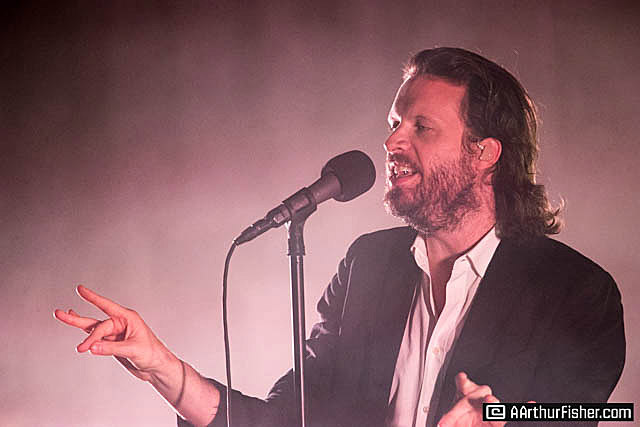 Highlights of the setlist included “Bored in the USA”, “When The God of Love Returns There’ll Be Hell To Pay,” and the lovely “Nothing Good Ever Happens at The Goddamn Thirsty Cow.” FJM’s encore included possibly his most well-known, and definitely most crowd-pleasing song “Hollywood Forever Cemetery Sings,” and he ended the set with “I love you, Honeybear,” the title track of his second full-length album. 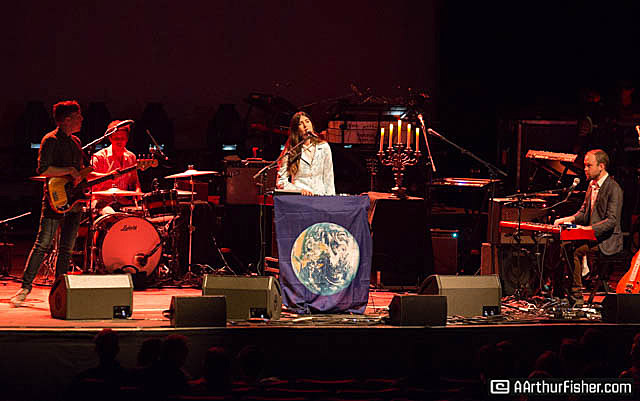 The show was part rock n roll, part theatrics, one hundred percent entertainment as anyone in the audience would be able to attest to. 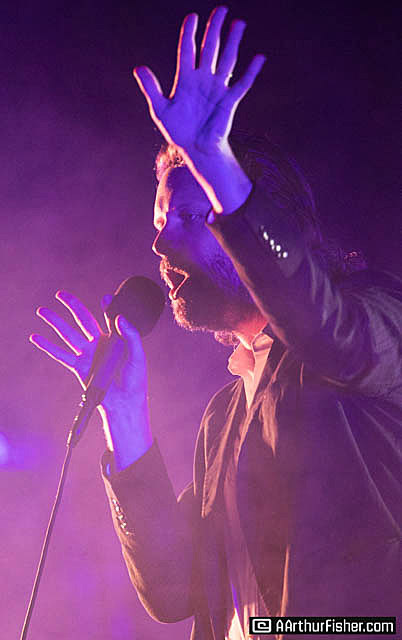 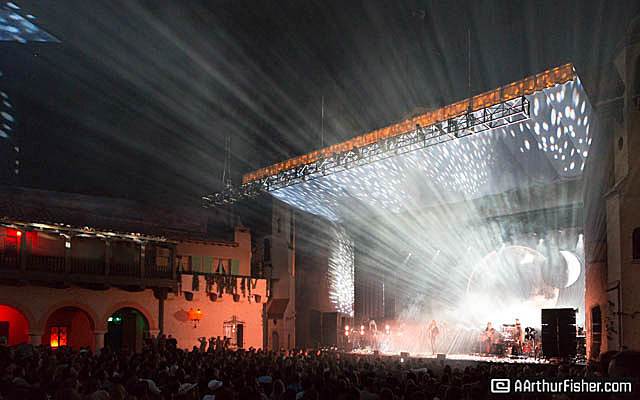 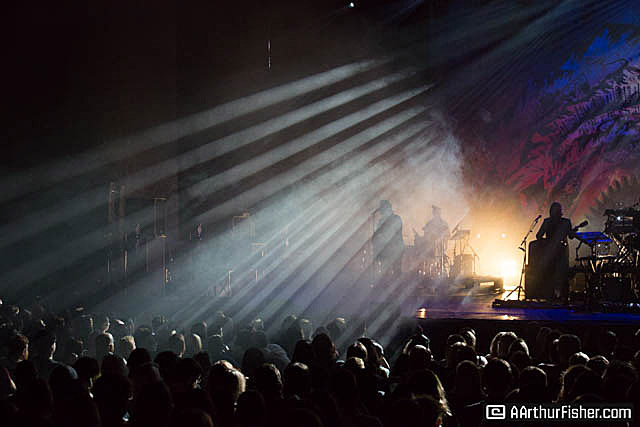 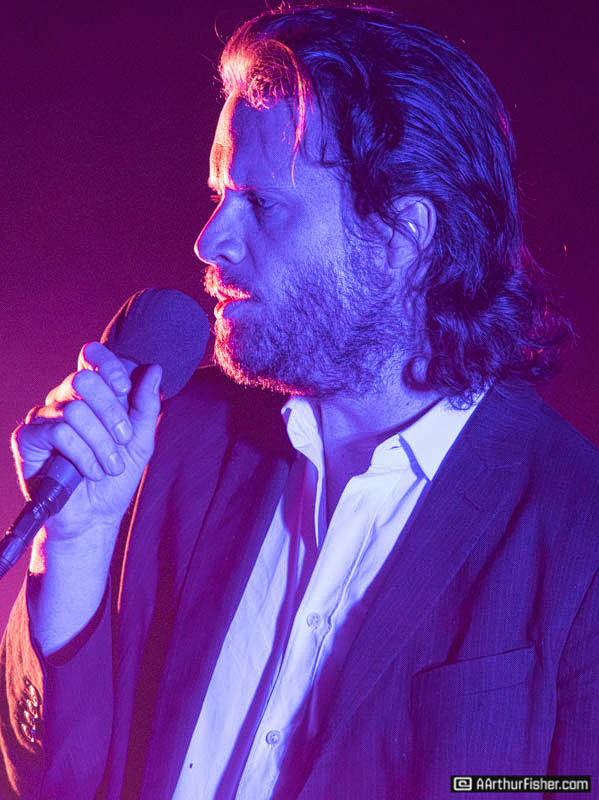 Father John Misty is captivating, his sermon seductive and his fans,-his disciples, at least at The Arlington Theatre on Wednesday night, are very loyal followers.